How is it possible for a person who simply sets words to paper, who plucks a string or dabs colour on a canvas, to play… a remarkable role in the spiritual life of man? The key lies in the fact that art has a direct and real effect on the human soul. Setting aside my sense, which I have explored at length elsewhere, that the mere existence of consciousness warrants a transcendent explanation, and that reductionist explanations are missing the point, where does this leave us? I am reminded here of the detailed, and in my view completely trustworthy, account of a near death experience given by Eben Alexander. I have dealt elsewhere on this blog with books that explore near death experiences (NDEs) in a more scientific way (see above links). I have chosen to quote here from one person’s experience partly because it is more appropriate to this examination of literature and also because it counterbalances Harris’s one-person account. If sceptics are happy to accept Harris’s conclusions from his experience, I can see no reason for me not to accept Alexander’s. He, as a sceptical scientist, on the basis of his very different experience, made a different decision from that of Harris. His whole account absolutely requires careful reading. It is to be trusted in my view first of all because it is written by someone who was, before his NDE, an atheist, as Harris is, secondly because he is an academic as well as a highly regarded neurosurgeon with much to lose from declaring himself as a believer in such things, and lastly because he followed the advice of his son and recorded the whole experience before reading any NDE literature that might have unduly influenced his narrative. What do the passages I have just quoted suggest? Know thou for a certainty that in the divine worlds the spiritual beloved ones will recognize one another, and will seek union with each other, but a spiritual union. Likewise a love that one may have entertained for anyone will not be forgotten in the world of the Kingdom, nor wilt thou forget there the life that thou hadst in the material world. For a start, it shows someone conscious but without any memory for who he is – awareness stripped of self, in the terms we are using here. This leaves me feeling it maps onto, even if it goes beyond, the state of mind Harris describes. So, with at least some resemblance to an extreme meditative state, it takes us one step further. It demonstrates consciousness without a brain. The coma has helpfully disconnected his brain, without any need for him to learn how to do it himself via meditation, and yet he is still aware. Even more amazing is that, with his brain shut down, he has been able to retain detailed memories of a rich week-long experience and begin the process of reintegrating it into his brain-bound identity. Equally surprisingly, a consciousness he didn’t know but which clearly knew him, a survivor of the body’s death, connects with him. Even though, in this NDE Alexander has forgotten who he is, and therefore does not confirm that aspect of what ‘Abdu’l-Bahá wrote, the consciousness of his dead sister had obviously retained a sense of who she had been and what her relationships were, even when there had been no interaction physically with Alexander during her mortal life. It seems legitimate to assume that, if Alexander’s experience is a precursor to an eternal afterlife, there would be time for him to reconnect with memories of who he was. What has all this got to do with los Solitarios and Lehrer’s ideas about the novel? Just to clarify, I am not simplistically concluding that all the Solitarios are equally reductionist. Pessoa, Machado and Rilke each have their own more spiritual take on reality at times. What I am suggesting here is that Proust and Beckett, along with other modernists such as James Joyce and Virginia Woolf, have fallen into the modernist trap to some degree. Why do I call it a trap? Once we deny any form of spiritual or transcendent reality it is only a short step to concluding that life has no meaning beyond what we arbitrarily give to it. Beckett’s existential despair becomes a predictable symptom, as does what Richard Davenport-Hines summarized as the degenerative, secularised squalor of the world Proust saw around him and depicted in his work. A further consequence of this world picture is a powerful sense of alienation. This adds to the dispiriting bleakness of life as experienced through this lens. Both Beckett and Proust lived lives that were profoundly disconnected from the social world around them. I am on dangerous ground here if I simplistically attribute this disconnection only to their materialistic approach to the world. My other Solitarios are equally alienated from the social world but, with the possible exception of Rilke, do not inhabit as bleak a subjective reality. My contention is that the combination of a tendency to extreme introversion combined with a reductionist worldview is a toxic prescription for despair. As such the literature it engenders will render a seriously distorted view of existence. If their versions of reality are unbalanced, what to do? Is the novel, part of Beckett’s and all of Proust’s greatest work, an inherently materialist form? Is the same true of drama as well, so no get-out for Beckett there? Is only poetry suitable for and tending towards spiritual matters, hence the difference that exists between these two novelists and the work of Rilke, Machado and Pessoa? The quality of Beckett’s and Proust’s writing is indisputable: the deficiencies of their moral and spiritual perspective create significant flaws in their overall achievement. What, if any, might be the remedy? Beckett clearly felt there was none. Reading Proust is less of a journey into an existential Arctic. However, although he has a strong sense of what he feels is right, the world his work explores has lost its moral compass a long time ago. Three novels immediately spring to mind as having combined darkness with light in a more balanced way. Her novel integrates her faith with her art in way that adds depth, a depth upon which too much of modern art and writing has turned its back. I accept that some will find Helen’s piety disquieting in that it initially seems to influence her to suffer in silence. Even during that period though it gives her strength to cope with her husband’s oppressive vagaries, while also enabling her to hold onto the necessary critical perspective that means she never succumbs to the temptation to tolerate them as in some way acceptable. It clearly can be done, and, if those three books are anything to go by, a strong focus on the consciousness of the characters depicted does not require a reductionist approach. These novels are very much in the tradition of Joyce, Beckett and Proust in this respect. But they do not lack a sense of the spiritual or transcendent also. In addition, for me at least, they combine the capturing of consciousness with some form of interest-sustaining narrative, and it’s the echoes of the story and its implications that linger longest in my memory. If an author strays too far from some form of narrative it is possible he might diminish the long-term impact of his book on the reader. Interestingly, all three books are by women authors. Anyhow, when I now ponder on my current pantheon of novelists, women outnumber men. Jane Austen, the Brontês, Mary Anne Evans (pen name George Eliot), Elizabeth Gaskell, Doris Lessing, Hilary Mantell, A S Byatt, Margaret Attwood, Bahiyyih Nakhjavani and Marilynne Robinson, to name but the most important to me, leave Ford Madox Ford, Joseph Conrad and Fyodor Doestoyevsky trailing forlornly in the rear. This realisation has come as a bit of a shock to me. I hadn’t expected it to turn out quite such a one-sided contest. It was not always thus – it’s only since I recently realised that Charles Dickens, Thomas Hardy and William Makepeace Thackeray amongst others, have fallen from grace in my mind’s eye over the years. 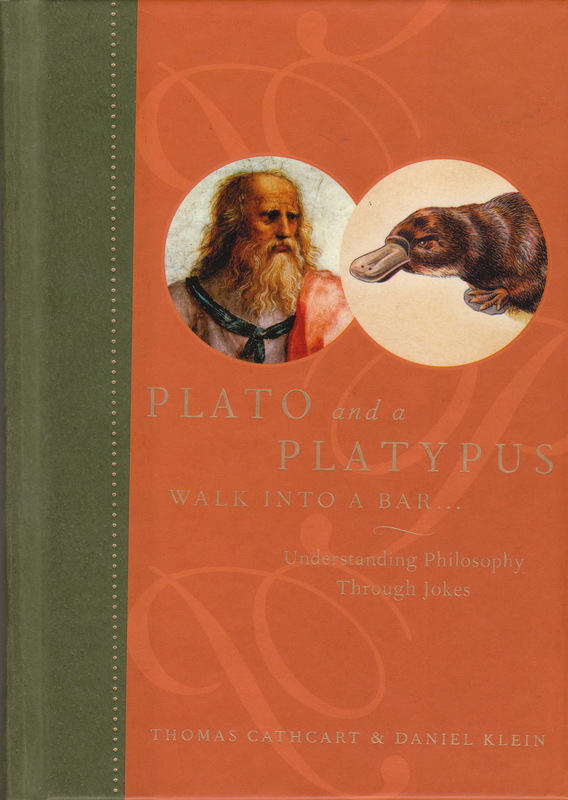 I need to digest this insight and test its validity against a re-reading of some of the authors I’ve just mentioned before I leap to a firm conclusion that those with a feminine cast of mind seem to hold the balance between spirit and matter, plot and consciousness, better on the whole than those whose orientation is more macho. Whatever the truth of the gender idea may be, that at least some writers can achieve this balance confirms it is not impossible, and, if we believe as I do, that there is a spiritual dimension to reality, for the reasons I have given throughout this blog, then art has a duty to incorporate it into its representations of experience. It does not need to do so explicitly, any more than The Handmaid’s Tale has to spell out in detail the moral code that condemns the abuses it depicts but the moral code has to at least be implicit and not completely absent. Well, that new slant on things has made my rather demoralising exploration of Proust and Beckett well worthwhile. There will soon be more on the value of the feminine perspective. As a transition from my sequence of republished posts about the Bahá’í approach to healing a wounded world and my next post about one person’s spiritual crisis, this seemed a good poem to republish. the sun rising behind it and a path out through the woods. I can talk to the light and it responds! I am rising into this tunnel of light. The light reveals itself directly, vividly, to my mind. I can feel it, I can feel this light in me. distinct aspects of the same Being. I was asked to give a talk on this topic at the University of Birmingham at the beginning of March. I have done this once before (see link) and have ruminated on the issues before and since on this blog. I had so much running round in my mind-brain, whichever it is, that I needed to start organising my ideas in good time. Writing a blog post seemed a good way of helping in that process. The earlier post on Monday hopefully conveyed a sense of what actually happened. This is the second and last post attempting to express simply what I thought I might say! I argued in Thursday’s post, which describes my journey from atheism to belief in God, that finding completely compelling empirical evidence in support or refutation of the possibility of a spiritual dimension will be vanishingly hard to come by. I said I would examine a typical example in this post. 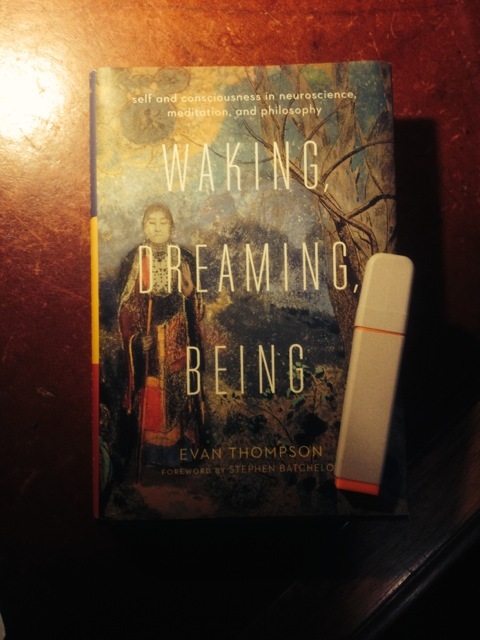 Pim van Lommel’s research on near-death experiences is robustly attacked by Evan Thompson in his existentially philosophical treatise, Waking, Dreaming, Being which also claims to have turned my black swan, Pam Reynolds’ NDE, into a dead albatross. Quotations from Thompson’s sceptical and Mario Beauregard’s convinced account will illustrate the problem. I’ll focus on the hearing issue, though that is by no means the only point of contention (readers of my recent post on this issue can skip this bit). Pam Reynolds had a tumour deep in the brain stem, surgery for which required a total shut down of her brain, drained of all blood and kept at a low enough temperature to fend off brain cell death within the time frame of the operation. Reynolds’s eyes were taped shut, so she wouldn’t have been able to see what was going on around her. Although she was wearing fitted ear plugs that delivered 40-decibel white noise to one ear and 95-decibel clicks every eleventh of a second to her other ear (in order to monitor her auditory brainstem response), she probably would have been able to hear the sound of the saw through bone conduction (as when you hear inside your head the sound of the dentist’s drill). On the basis of hearing the sound, she may have generated a visual image of the saw, which she described as looking like an electric toothbrush. 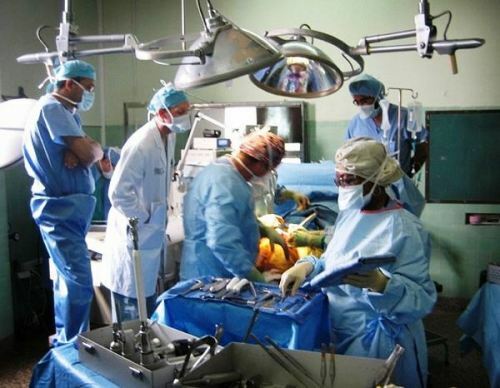 She would have been familiar with the surgical procedure from the surgeon’s description and from having read and signed the informed consent form, and she would have seen the layout of the operating room because she was awake when she was wheeled in. [An alternative account posits that the theatre staff had hidden the instruments to avoid alarming her.] So she probably had enough knowledge to create an accurate visual and cognitive map of her surroundings during her out-of-body experience. Reynolds’s ability to hear what the cardiac surgeon said may seem less likely, but to my knowledge no one has tried to replicate the auditory stimulus conditions to determine whether speech is comprehensible through those sound levels or during the pauses between the clicks. Sceptics will argue that when Reynolds saw the surgeon cutting her skull or heard a female voice say something about the size of her blood vessels, she was not clinically dead yet. Nevertheless, her ears were blocked by small moulded speakers continuously emitting 100-dB clicks (100 dB correspond approximately to the noise produced by a speeding express train). Medical records confirmed that these words were effectively pronounced (Seabom 1998). Moreover, the speakers were fixed with tape and gauze. It is thus highly unlikely that Reynolds could have physically overheard operating room conversation.
. . . whether the patients who said they left their bodies during the cardiac arrest were able to give a more accurate account of what happened during their resuscitation, than those who did not claim to have left their bodies or to have any memory of seeing the resuscitation. She asked both groups to describe what they thought had happened during the resuscitation and found that those who said they had seen the resuscitation were more accurate in their account of what had occurred than those who were simply guessing. This finding is important as it is the first prospective study which suggests that veridical information may indeed be obtained in some manner by someone who is deeply unconscious and who has none of the cerebral functions which would enable them either to see or to remember. Much later in the game I came back to giving reincarnation another look. It can’t really be ignored in any honest open-minded investigation. There is far too much evidence that suggests there are phenomena that invite interpretation as supporting reincarnation. 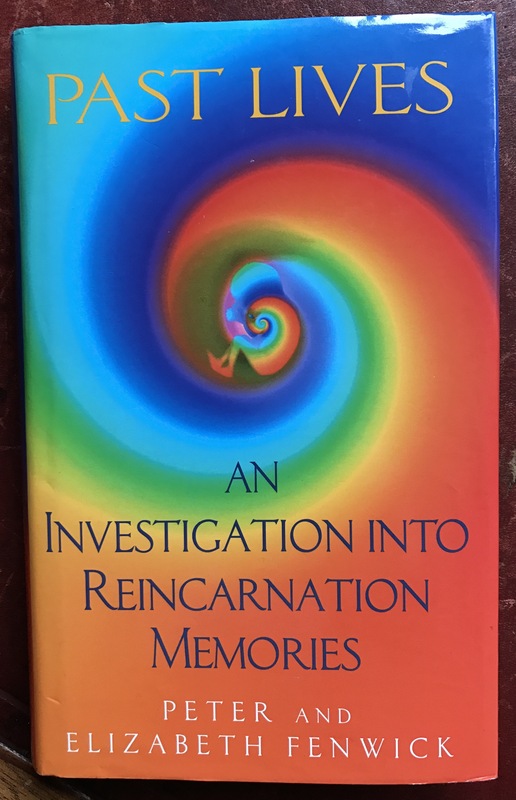 I explored reincarnation when I was investigating Buddhism and rejected it, so it is not only because my current belief in the Bahá’í Faith discounts it, that I am drawn to another way of interpreting the data. Peter and Elizabeth Fenwick, in their excellent book Past Lives, have a whole section on this take on the issue. They also look at whether psi alone might be a sufficient explanation. Personally, though they do not close the door on that possibility themselves, for reasons concerning the degree of identification that the strongest cases exhibit (see below) psi does not seem to me the best candidate. If memories (information) are held in this way they would exist independently of the brain and therefore be accessible to another brain which ‘resonated’ with them. 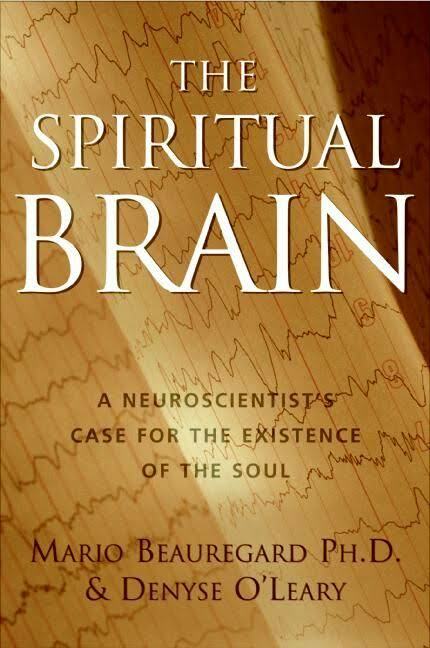 They accept that this could explain cases where (page 280) ‘more than one person remembers the same past life’ but feel that it is improbable that a child’s brain would be capable of resonating to an adult consciousness. They also feel that where memories of a past life display ‘continuity’ and ‘detail,’ this would not usually the case where psi is involved and for them accessing a universal mind would entail the use of psi. He came to the conclusion that there was in fact one source, a universal warehouse of images that he called the Anima Mundi, the Soul of the World. Each human soul could attune itself to revelation, to miracle, because each partook in the world’s general soul. If we can accept this possibility, it provides, in my view, another possibly way of explaining the data which points also towards the possibility of reincarnation. Unfortunately, as always in this kind of area, greater certainty is inevitably elusive. In the end I’ve come to feel as Mario Beauregard does. For example, a nonmaterialist view can account for the neuroimaging studies that show human subjects in the very act of self-regulating their emotions by concentrating on them. It can account for the placebo effect (the sugar pill that cures, provided the patient is convinced that it is a potent remedy). A nonmaterialist view can also offer science-based explanations of puzzling phenomena that are currently shelved by materialist views. One of these is psi, the apparent ability of some humans to consistently score above chance in controlled studies of mental influences on events. Another is the claim, encountered surprisingly often among patients who have undergone trauma or major surgery, that they experienced a life-changing mystical awareness while unconscious. This paves the way for finding the idea of mid-brain independence credible. Generally, Schwartz says, success with the four-step method depends on the patient doing two things: recognizing that faulty brain messages cause obsessive-compulsive behavior and realizing that these messages are not part of the self. In this therapy, the patient is entirely in control. Both the existence and the role of the mind as independent of the brain are accepted; indeed, that is the basis of the therapy’s success. We regard promissory materialism as superstition without a rational foundation. The more we discover about the brain, the more clearly do we distinguish between the brain events and the mental phenomena, and the more wonderful do both the brain events and the mental phenomena become. Promissory materialism is simply a religious belief held by dogmatic materialists…who often confuse their religion with their science. 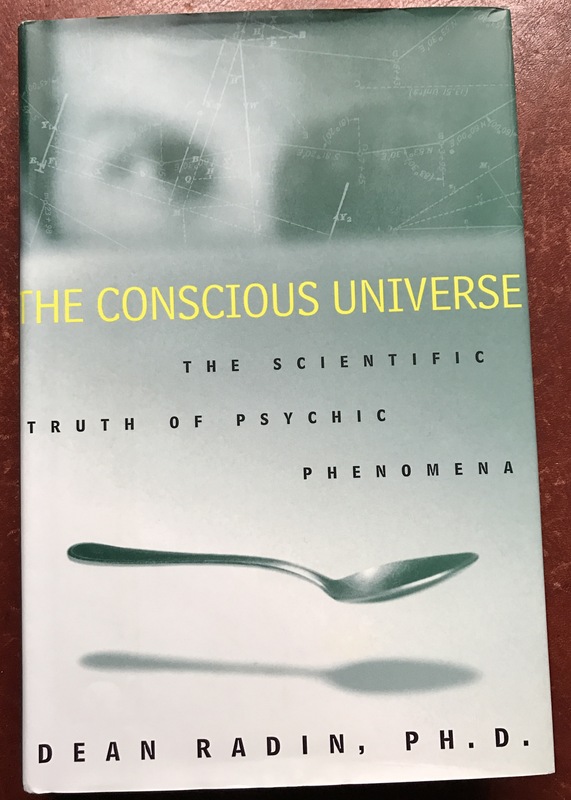 Today, informed sceptics no longer claim that the outcomes of psi experiments are due to mere chance because we know that some parapsychological effects are, to use sceptical psychologist Ray Hyman’s words, “astronomically significant.” This is a key concession because it shifts the focus of the debate away from the mere existence of interesting effects to their proper interpretation. There is enough here overall, I feel, to give all but the most died-in-the-wool materialist pause for thought. Even if you only give credence to ‘hard’ scientifically gathered evidence, it seems clear that the exact nature of consciousness is an open question rather than a closed case. Let’s hope I conveyed all that clearly enough to get the point across to a roomful of psychologists! Or was it back to the lion’s den again, perhaps. Why fret about the Afterlife Hypothesis? The previous post looked at how the black swan of Pam Reynolds‘ Near Death Experience (NDE) could perhaps be seen as a blow to the white swan theory that there is no possibility of life after death. This focused on the possible truth value of the Afterlife Hypothesis. There is a critical look at the data in the Wikipedia link above that reveals weaknesses, of which I was previously unaware, in the case as presented in the television documentary. I still feel that mind-brain independence has been established in this case because of the accurate visual experiences gained under anaesthesia (see previous post on this subject — now revised). None the less we still need to consider the usefulness of the Afterlife Hypothesis if we are going to be able to persuade those who are sceptical to rethink. We saw that Ken Ring’s research, which is summarised in Lessons from the Light, noted how often people who had experienced an NDE felt that their lives had been enhanced and that they wanted to be of service to their fellow human beings. I said that we would come back to this point — the usefulness of holding the Afterlife Hypothesis to be true. I also said we’d look at why this aspect of the issue is critical if we are to understand why belief or unbelief on this issue matters to us all, believers and unbelievers alike, almost regardless of its truth value. Some people may find the discussion that follows a bit challenging: it was impossible to write about it clearly without seeming to come on a little strongly. In spite of appearances, though, I respect differences of view immensely and would hope to learn at least as much from those who disagree with me as I do from those who think the same. I’d like to focus on two aspects of the question of belief in the afterlife: its usefulness and its importance. Our answer to questions about whether or not we have a soul, and whether or not that soul is immortal, very much determines who we think we are. It shapes our identity. Who I think I am powerfully influences what I decide to do and how I relate to others and to the world around me. It is important. Then, when we look at the average effect of all our actions, influenced by all our various views of who we are, we will find that we have a vision of the kind of society, civilisation and culture we are creating by these decisions and these actions. This in turn influences who we continue to think we are. What’s perhaps even more important is it influences who our children come to think they are. In this way we enhance or warp our futures. Because our future depends on it, we will need to address, as a society, whether materialism in its various forms is enough when it causes us to derive our values and our morals only from reason, experience and our shared sense of humanity – not that those are entirely without worth: a society that shuts its eyes to the feedback from experience and blinds itself to the truths that are within the reach of reason will soon fall off a cliff it is convinced does not exist. But materialism goes too far when it preaches dogmatically that there is no need of any seal of approval from outside, no need of a transcendent point of reference, no need to believe in an afterlife. It claims that we can, as it were, place each of our feet in two different buckets, grasp the handles and heave ourselves off the ground. In my view materialism is trying to persuade us that the tiny candle of reason can illuminate the dark vastness of the entire universe: I find that claim preposterous. Is getting the best out of ourselves without God really like the bucket problem? Unfortunately, mobilising the evidence to try and demonstrate that materialistic worldviews fail to lift us as high as spiritual ones will probably fail to convince the wavering and leave the reductionist utterly unmoved. John Hick wryly concluded that the universe has been created to contain just enough evidence to convince the believer that there is a God but not quite enough to convert the sceptic! However, I have come to the conclusion that a lot really does hang on the decision that we make on this issue. It’s not just a question of our physical and mental health, and there is a great deal of evidence (Koenig et al) to suggest that religion is good for our state of mind in this world never mind the next. Nor of the efforts religious people make to be of service to others. There’s also some less clear-cut evidence (see Batson et al for investigations that do justice to the real complexities of this issue) to suggest their efforts are somewhat greater in this respect than the efforts of those with no religion. If religious people are right in believing that religion is the source of their greatest happiness, then maybe the rest of us who are looking for happiness and meaning can learn something from them, whether or not we believe in God. Even more importantly it’s a question of the expectations we harbour about our future, based on our estimate of our capabilities and our assessment of the current reality. These expectations, of course, help form the future. This needs unpacking. An analogy will help. Research strongly suggests that pessimists, and even depressed people, are more realistic about the present (See Seligman’s ‘Authentic Happiness‘ for example). On the other hand, optimists and happy people exaggerate, for example, the degree to which they are liked by others or the level of skill they have. They are less realistic: they see the world through rose tinted spectacles. The sceptical materialist might well conclude “Case closed! You just shot yourself in the foot. I need read no further. You’re all deluded then.” I’m afraid (s)he couldn’t be more wrong! If we take a snapshot of the lives of these two kinds of people say ten years later, what are we likely to find? You’ve probably guessed it. The optimists, untrammelled by low expectations, will probably have made something better of their lives on most measures such as the quality of their relationships or their level of health. The pessimists are usually very much where they started and generally much worse off than the optimists. A lot of information can be gleaned about the effects of a pessimistic or unhappy style from Seligman’s book (see also the link to the Authentic Happiness website on the front page). In my view, comparing optimists with pessimists is very much the same thing as comparing those who believe in God with those who believe in nothing (which of course is also an act of faith). To divide the ‘camps’ in this way simply into religious and non-religious would be too simplistic of course. Some spiritual beliefs are narrow, constricting and/or pessimistic about the human predicament. Some materialistic worldviews have warmer perspectives and rosier expectations. It will none the less be found, I feel, if the evidence is systematically sought and examined dispassionately, that, on average, people with a sense of the transcendent, because they have a more positive view of what they can achieve individually and collectively, will enhance their own and their communities’ lives significantly more each decade than will those who, because they take a completely materialistic view of things, have lower expectations of themselves, of others and of what can be achieved. This is an empirical question: it needs to be properly researched. Ken Ring’s work is already pointing strongly in that direction. I have also explored this at length from another angle in a longer sequence of posts. As ye have faith, so shall your powers and blessings be. There is one rather disturbing implication of all this. If this idea is correct, that faith in the transcendent lifts our game and the level of well-being of the communities we live in, the person with a sceptical take on the afterlife, whether (s)he likes it or not, whether that is the intention or not, could well be making a contribution that falls short of his or her capacity as a result. When civilisation is getting as close to the edge of self-destruction as it is at the moment, every little short fall matters and could make the difference between collective survival or collective suicide. In the worst case scenario, where the falling short is very great, someone who is sceptical to the point of cynicism, or even nihilism (this touches on extremism of all kinds, atheist as well as religious, and will have to wait for another time for a more adequate treatment), could become that bane of all organisations – the free-rider – who reaps the benefits of other people’s efforts without contributing his or her fair share! According to Philip Ball in his book ‘Critical Mass‘, the effect on an organisation of carrying too many such people is to make it unfit to survive. So why do firms fail? . . . . Once it grows big enough, it becomes a haven for free-riders who capitalize on the efforts of others. So the firm becomes gradually riddled with slackers, until suddenly the other workers decide they have had enough and jump ship. . . . The failure is self-induced. It is perhaps stretching a point to extrapolate from firms to civilisations, where jumping ship is more like moving to China than changing jobs, but we know that civilisations do fail (See Jared Diamond’s ‘Collapse‘). If there is any truth in this extrapolation, it could therefore mean that our collective survival depends upon enough people waking up to the transcendent, regardless of how the costs of extremism at both ends of the spectrum eventually stack up. I believe it would be very difficult indeed to reach a conclusion about whether faith in a transcendent dimension makes me a better citizen or not. The issue matters so much though that we should not accept what we’ve been told simply on the authority of other people. It is worth bearing in mind that nihilism is as much an act of faith as faith in God. If too much nihilism spread across too many people could annihilate us, surely, in all conscience, this is a matter of life and death now and bears painstaking and careful investigation, a scrupulously dispassionate weighing of all the evidence, before finally making up our minds? Bahá’ís believe in the inescapable responsibility of all of us to investigate the truth for ourselves. If you have a thirst to understand these issues you will find much food for thought (though water would of course be more use in quenching a thirst!) at the Baha’i World Centre site as well as through the other links on the front page of this blog. After such strenuous investigation by everyone, how many of us would then be left to say with any sense of certainty there is no God, no soul, no afterlife? Is it just a question of faith? I ended the previous post with a question: why should the existence or not of an afterlife matter to you if you don’t believe it, even if it matters to me who does. Why on earth should you consider believing what I believe? Let’s see if we can make some progress on that one. Some people believe there is an afterlife and I am now one of them, though it was one of the more difficult things I had to accept when I investigated the spiritual life. After all why should beings so imperfect have an immortal soul? We hardly seemed entitled to such a privilege. To be honest, as a former atheist, I found it easier to believe in God than in an immortal soul. The soul is not a combination of elements, it is not composed of many atoms, it is of one indivisible substance and therefore eternal. It is entirely out of the order of the physical creation; it is immortal! It is also clear that how we live now will affect the kind of afterlife we have. This is to do with how well we have fed our souls. When our spirit goes from the narrow womb of this world to the vast expanses of the next we will need all our spiritual faculties in the best possible order if we are to cope. And just as, if human life in the womb were limited to that uterine world, existence there would be nonsensical, irrelevant — so too if the life of this world, the deeds here done and their fruitage, did not come forth in the world beyond, the whole process would be irrational and foolish. I needed help with coming to terms with this improbable hypothesis and found it hard to take it simply on trust, though I did try. I’m going to be basing a strong case to support the idea that beliefs in transcendence and the afterlife are the strongest possible motivators to building a better world. There is a problem with that though as an argument to defeat people who are sceptical. They could concede the point while still saying that there is no afterlife. There are many examples we could draw on to support the view that mistaken beliefs can be very motivating indeed. People have died and been killed for them – in fact are still dying and being killed. If the only difference is that one person’s belief wreaks havoc while the other one’s creed enhances life, we haven’t moved all that far in terms of truth value: just because a belief seems benign doesn’t make it true. So if this pragmatic argument were the best one going in support of transcendence and the existence of an afterlife, we’d have to say that the case was at least one wing short of a complete aeroplane! Even high levels of positive usefulness, after all, do not prove truth. So, before we move in more deeply to the implications for our society of a belief or lack of it in transcendence and the afterlife, it seems a good idea to tackle the evidence issue from another angle. Is there really no evidence for an afterlife and/or the value of transcendence other than indirect and inconclusive notions of how it is better for our society if you believe it than if you don’t? I think there is. 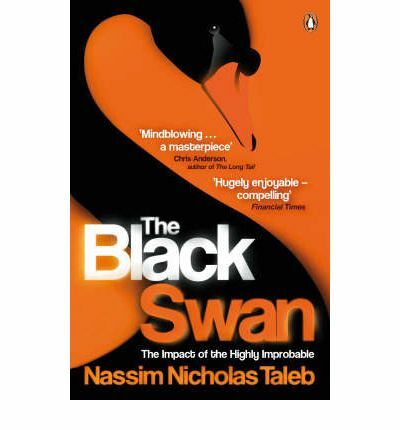 We need to start with the black swan problem. The same can be said of mind/brain independence. I accept that a near death experience (NDE) which happens to involve the mind apparently functioning without any support at all from the brain does not absolutely prove there is life after death, but it is a necessary if not sufficient condition for maintaining that belief. I believe that this necessary condition has possibly been fulfilled at least once under completely controlled conditions. 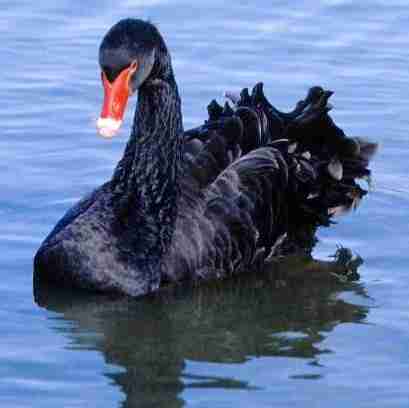 I think it may constitute a black swan for those that say an afterlife can be ruled out as completely impossible. In Atlanta Georgia, the case of Pam Reynolds was investigated in the 1990s by Dr Michael Sabom (page 184 passim). His account is incorporated into a wider discussion of NDEs by David Fontana, a professor of psychology, in his book “Is There an Afterlife?”. Sabom states, and the surgical team corroborates it, that Pam was fully instrumented, under constant medical observation and completely unconscious as indicated for part of the time by the flatline EEG (a measure of brain activity: flatline would mean no brain activity at all that would support consciousness). It was as close to a controlled experiment as we are ever likely to get, he said on a television documentary on NDEs some time later. The surgical procedure she needed required a complete shut down of brain and heart activity in order safely to operate on an aneurysm at the base of the brain. None the less, after being anaesthetised for 90 minutes but not as the video suggested when she was flatlined, she accurately observed aspects of the surgical procedure which were either a departure from what would have been the standard order of events or had unusual features, such as the bizarre appearance of the “saw” used, of which she could have had no prior knowledge. The surgeon in the case, and others who commented such as Peter Fenwick, felt that the usual methods of registering visual perceptions and memories in the brain would certainly have been unavailable to her and could offer no explanation of how she could have subsequently had access to the experiences she described. There is a huge literature on NDEs which many people with a materialist perspective refuse to inspect on the grounds that no amount of evidence can prove the impossible. This is scientism, not science, and I would urge everyone, no matter how sceptical, to investigate this thoroughly for themselves. The arguments parroted by so many that NDEs are the results of material causes such as anoxia or drugs just don’t stand up in this case (or in many others, according to Peter Fenwick). What is of additional interest here is that the investigations of Ken Ring plainly indicate that NDEs are life transforming. His list of the changes they induce includes: appreciation for life, concern for others, reverence for life, antimaterialism, anticompetitiveness, spirituality, sense of purpose, and belief in God (pages 125-127). These are all things that we will hopefully come back to in more detail in the lifetime of this blog (though for some people it may already seem to have gone on far too long). That list of Ring’s is a very significant one that paves the way for the next more pragmatic approach to the issue of why it should matter to everyone, why everyone needs to investigate carefully before they jump to the conclusion that an afterlife is impossible. A sense of the transcendent allied to a belief in life after death does seem to create a different more life- and community-enhancing pattern of behaviour in the individual who possesses them. Time for a break, I think: more on that next time. There’s a sequence coming up that relates to the issue discussed in my very first sequence of posts in 2009. It seemed a good excuse to republish them at this point. They will be posted on consecutive days. The man was overjoyed and spent at least a minute thanking his maker effusively before he set about the important work of deciding what to take. After long hours of solitary deliberation he made up his mind that the best thing to do was fill his suitcase with gold bars. This he did at the dead of night and dragged the suitcase to his bedside. Much to the mystification of his family he insisted on keeping the suitcase at the side of his bed from then on. Sure enough, on the night he died God kept his promise and he found himself at the gates of heaven dragging his heavy case towards Saint Peter. But St Peter found the situation highly irregular and wouldn’t let him take the suitcase in with him. “But God has given me a special dispensation. I can take just one case of worldly goods into heaven with me,” the man insisted desperately. Saint Peter, inwardly thinking this was all some kind of delusion, reluctantly sent an angel off to ask God what the deal was here. Ten thousand years later (our time but in a twinkling of an eye up there) the angel returned and to the astonishment of Saint Peter, confirmed the man’s story. The joke has more than one sting to it. We know we couldn’t take a suitcase up to heaven and, in the present security conscious climate, you’d probably be gunned down by a guardian angel long before you got within ten thousand leagues of the pearly gates if you were foolish enough to try. We may even feel there is no heaven to which we could carry anything at all. If there is a heaven and, when we go, we could take with us the stuff that is precious to us here, it would count for next to nothing up there anyway. What can’t be lost in a shipwreck? To the materialist it’s obvious. 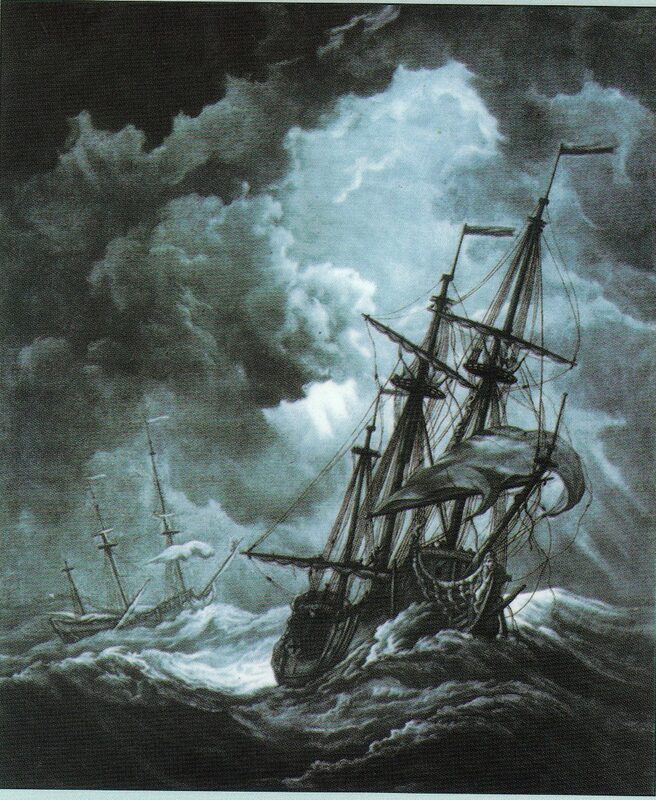 There is nothing that can’t be lost in a shipwreck – goods, friends, family, consciousness, individuality, life itself. (Well, strictly speaking you probably won’t lose your house in a shipwreck exactly, but you get the point.) Nothing left over. Death = zero, the great black void. All that remains of you lies rather than lives, for a few more years, in the memories of those you leave behind. And when they die too, those few faint traces of your life die with them. “Yeh, right!” the sceptic responds, shaking his head at the follies of his fellows. Too many people, he feels, still believe too many impossible things before breakfast and for the rest of the day as well! Most of the answers in the monotheistic religions I grew up with take on some variation of the “I’ll meet my loved ones” form. In the East – and it’s India, China and the Far East I’m thinking of here – they’re not so sure about whether I have a soul in exactly that sense and whether I will remember who I was in the shape I take on next. I was put off Buddhism, many years ago, when I attended a talk by a Tibetan monk, who insisted I could well come back as a rat or a dog. This seemed a far cry from the sophisticated analysis of mental states I had come to admire so much from reading about Buddhism’s core teachings and about the meditative experience, which I was experimenting with myself at the time. While other views of reincarnation are less shape-shiftingly dissonant with our sense of self, they all entail a greater reduction in our sense of who we are than the Christian or Islamic traditions do. Eastern traditions would generally agree, though, that my mind is able to function in some way and to some degree independently of my brain and that therefore there will be something that is not lost in the shipwreck, though it may not be immediately recognisable to me or anyone else who knew me. The Dalai Lama, for example, is extremely sceptical about Western near death experiences (NDEs) that describe being met by loved ones after what may or not be an experience of death as it will really be. He feels the predeceased would already have been reincarnated and therefore unavailable. They’d be otherwise engaged, so to speak, unavoidably detained elsewhere, reaping what they had sown perhaps among the scent-drenched pleasures of a dog’s life, if my unfortunate and possibly misleading encounter with the monk is anything to go by. The Bahá’í view is that we take with us into the next life what we have made of our souls in this one. This world is the womb of the next. (Gleanings from the Writings of Bahá’u’lláh LXXXI). What we have learned of love and wisdom, what has nurtured our innate character – the soul, goes with us. We leave all else behind. Clearly that matters to me as an individual if I am a believer: why should it matter to you if you are not? That is something we can explore together in the next post.